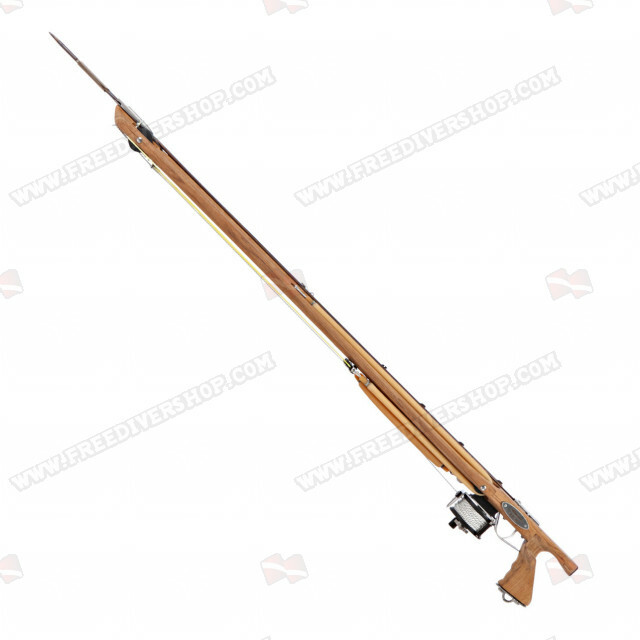 High quality 90 cm (35.4 inch) demultiplied speargun, hand made from Okoume/Teak wood by Alemanni. This powerful yet simple to use, easy loading speargun is small in size, big on power: the innovative Alemanni patented demultiplied rubbers system offers unmatched power and accuracy. 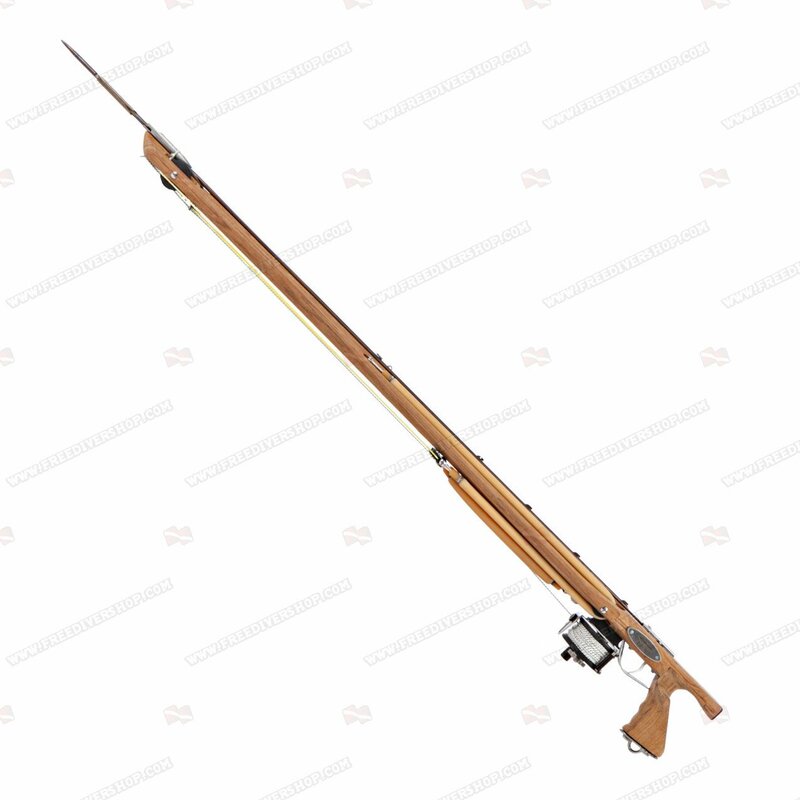 The X2 Demultiplied speargun is highly adaptive to any fishing situation and enables a large shooting range with virtually no recoil. Excellent lateral movement management, stability and lightness. Holds 6.5mm to 7.5mm shaft. Neutrally buoyant. 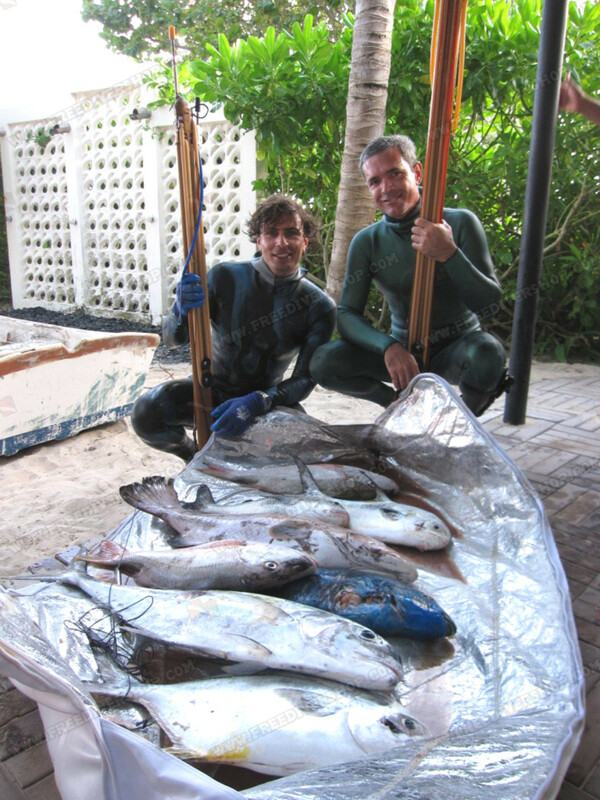 Each Alemanni speargun is individually tested and adjusted for optimal performance. Supplied with top grade 100% latex demultiplied rubbers setup, high precision shaft for absolute accuracy and high quality dyneema loaded maxi-reel. This powerful yet simple to use, easy loading speargun is small in size, big on power: the innovative Alemanni patented demultiplied rubbers system offers unmatched power and accuracy. 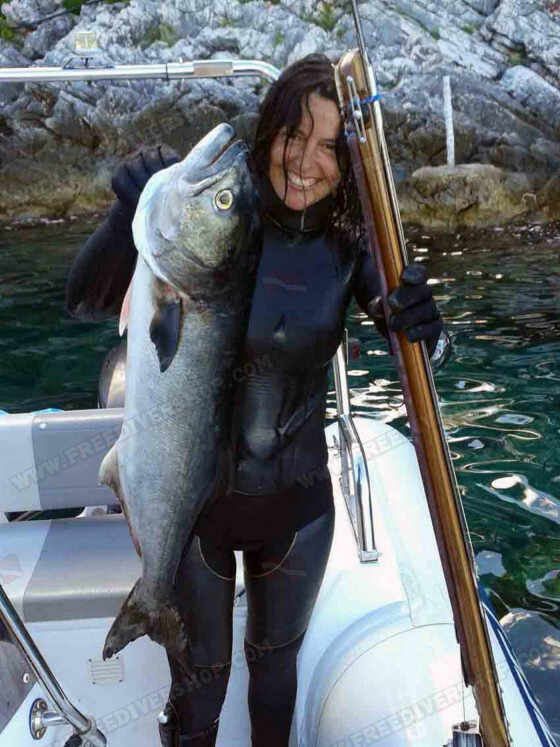 The X2 Demultiplied speargun is highly adaptive to any fishing situation and enables a large shooting range with virtually no recoil. Excellent lateral movement management, stability and lightness. Holds 6.5mm to 7.5mm shaft. Neutrally buoyant.